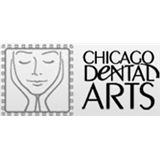 Chicago Dental Arts (Skokie) - Book Appointment Online! Welcome to Chicago Dental Arts! We are committed to making your dental visit a pleasant and pain-free experience. Headed by Dr. Fedin, Chicago Dental Arts has a knowledgeable, caring and professional team that will make you feel right at home while making sure that we take care of your smile for years to come. Chicago Dental Arts has been serving communities in and around the city for more than two decades. We’re also known for our Sedation Dentistry practices, which ensure that you have a completely pain-free, no-anxiety experience. That’s our promise – that’s our guarantee!